If you do not know this by heart and understand it, you will never be able to use the card system effectively. This is all very obvious, but you need to know these by heart, just as you need to know what each card does. So, the next part is strategy, and this is where you start to finesse the cards. You need to prioritize what you want versus what can give you it. So what are the lowest value cards, what are the highest? Highest value: Balance, Arrow and Bole. The first 2 are very powerful damage steroids, and you will almost always be looking for one of the first 2. Bole itself is very powerful as an extra 10% mitigation, but it is highly situational. Moderate Value: Spear. Spear is very hit or miss, and you basically need to have coordination to maximize it unless you personally use it for your own abilities, namely your MP regen, which will become a problem eventually. Lowest value: Ewer, Spire, Bole. Ewer and Spire are very hard to use in PUG settings, but gain a lot of value in organized raids with voice communication. Bole is either the strongest or weakest card to draw, and it exclusively depends on what you are personally trying to do. Double Duration is the best, but least-bursty, of all of the buffs. You are able to throw them away casually in most situations, and double duration gives more effective use than +50% potency. Sometimes you might want something specific, and there's no harm going for it if you want to. It is basically good with anything. +potency comes next. It's good, but 30 seconds of +10% damage is better than 15 seconds of +15% damage. However, sometimes someone has a very nice combo about to go out, or maybe they're about to do an opening rotation. You can always use this. It is best used with Arrow or Balance, but can see effective use from every card, it just depends on what you are after. half potency AoE: This is either the weakest, or strongest, of all of the royal roads. It is pretty much never a good idea to use it with Ewer or Spire, except in organized raids where you need a ton of people to regen TP (I doubt you will ever want it for Ewer even in organized raids), but you can have hilarious results with Balance or Arrow, or insane burst trains with Spear when running this one. If you are in organized raids, an extra 5% damage mitigation can be the difference between wiping and scraping by. But how does this all come together, which is really the crux of the question you are asking. The answer is, set goals. Do you know you need high-burst, perhaps either single target or group-wide burst? Start preparing. Throw Arrows or Balances to Spread, try to cycle to them, and queue up the correct royal road. Can't find the right cards? It's okay, just find the next best card that can still accomplish your goal of higher burst. Spear starts to look better at this point. Maybe you didn't get the right card to royal road but have the right spread card, maybe the inverse. This is fine, improvise. That is what the system is about. Do you know heavy burst is coming and someone might be at risk of dying? Start shuffling and pushing for Boles. If you cannot find them, then you have a ton of other options to try to save them, hope for it, but prepare to not have it. You can prepare an indefinite amount of time in advance with spread. Maybe a pull is about to end but you just got an amazing card? Again, spread. "But what if someone could use the buff now?" Then use what you have. Never hold back something that is strong for something that may be better later. If you got a balance and can use it immediately without royal road, and do not need a strong damage buff at a specific time later, just throw it down range. 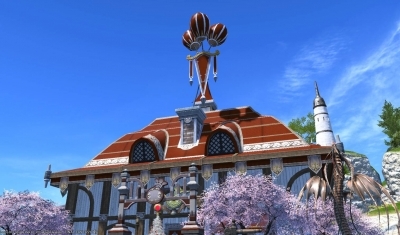 Remember Ewer and Spire? These are your go-to sacrifice cards for anything but an extended, difficult fight. Shuffle them away, or sacrifice them to royal road depending on what you need. Only use them if someone has an immediate need for them that has long-standing consequences (basically, if it's requested). At the end of the day, all cards should do 1 of 2 things. You should either give someone a benefit now, or prepare for a bigger benefit later. You will know the situations where you want to prepare, and when it's not necessary. This will merely come with time and with group goals. Everything else is just about prioritizing what you have access to. AoE Bole, Balance, Arrow, or Spear. Spear is the weakest outside of high-end play, balance is the most obviously potent, arrow the most hilarious (and far more useful to everyone in the group, not just the DPS/Tank) and Bole is great if you know a very threatening doom aoe is coming. Duration Anything. Duration goes well with anything, just fall back on what you are after. Someone need to regen TP? Duration Spire will help. Ewer? Same. 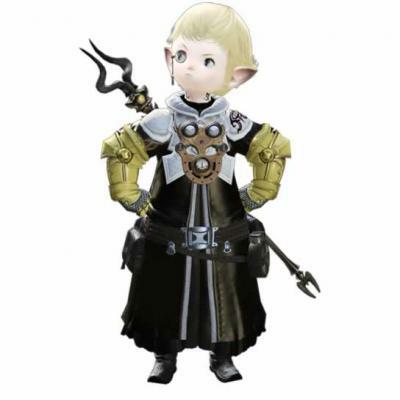 Balance and Arrow are straight damage steroids (I have personally boosted a WHM who then went on to Presence of Mind with Holly to have a 2.06 second cast time, and it was hilarious). 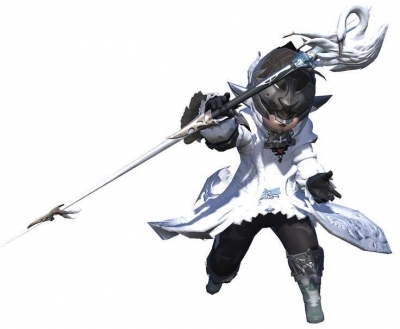 Spear is harder to work with, especially a longer duration one, but it works well on classes like the FFXIV Summoner or FFXIV Machinist especially, and with a 40 second duration, most classes will have something to fire that will benefit from it. Bole is absolutely amazing for reducing pressure on the tank, as it's 10% mitigation that they or you did not expect to have, and is also invaluable, especially in dungeons. +50% potency is easily the weakest. You will almost never want to sacrifice a Balance, but Boles are situational enough to consider sacrificing for more damage later. I wouldn't drop it on an Ewer or Spire unless you know they needed better efficiency yesterday (it will help physical DPS/Tanks regen quite a bit, for example), but there are times for it. Spear is great, both personally (for your MP regen skill) and for others, but is, again, harder to work with. Balance and Arrow are hilarious when boosted. But the problem will always come down to the situation that Balance and Bole are your two strongest cards, and it's hard to justify a sacrifice for them. However, never underestimate the raw value of the cards. Only sacrifice to Royal Road/Shuffle if what you have currently will not work now or in the foreseeable future. The cards should be treated as random benefits, not as bespoke tools. They are transient. And they can be very powerful when used right. You won't always hit a home run with an AoE Arrow immediately before a boss pull, but if you can set it up, then you should. But don't go out of your way for this unless the thing you are looking for is absolutely critical to your future needs. The cards are plenty fine on their own. Learn what all of the cards do, both royal road and natively. 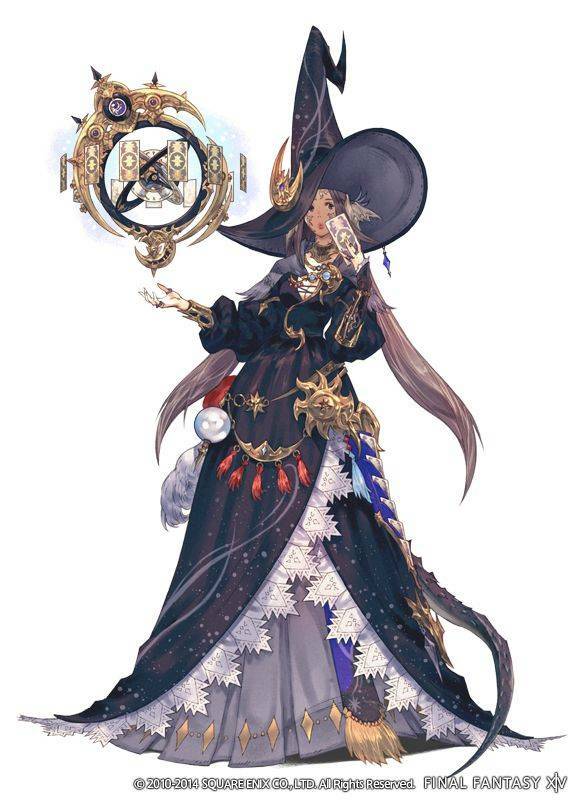 If you cannot at-a-glance it, then don't bother playing Astrologian as you will be spending too much time thinking about what you can do, and not enough actually doing your duties as a healer. You will personally know if you can handle this or not. Prioritize your immediate goals with the cards. The majority of the time it will just be to use what you get, either to set up something better because it's useless to the present situation, or to just use it now. Do not be afraid to simply throw cards without augmentations. 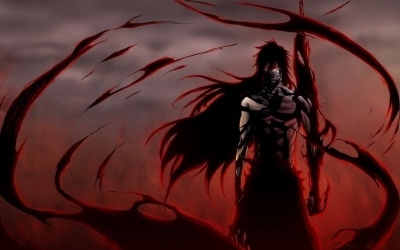 If you know the card cannot be utilized fully now, combat is about to end, or you absolutely need its benefit at a later point because it will be better then, save it to spread. If it is not useful saved, shuffle or sacrifice depending on your present situation. You will need to figure out what these situations are yourself, as the complex needs of the system itself and how transient it is will make it impossible to accurately quantify. Remember: The cards are a bonus, they are not your primary method of doing much of anything. You get the ability to freely boost your group or yourself basically at random. You can exercise limited control if you need a specific or ideal circumstance. Usually you will build these after you know you can set up something, as preparing well in advance is under-utilizing the mechanic, but sometimes this is a benefit. And finally: If you do not want to use the card you have, already have a better royal road for your goals up (or the royal road that the card itself would grant is worse, which can be the case for AoE especially), and don't want to or cannot store it or shuffle it? You can always right click the card's buff icon to put Draw immediately back on cooldown. This is a bit long, and I am not 100% settled that this is fully accurate, but the card system is very complicated despite how ultimately arbitrary it actually is. And that's the important thing. It is arbitrary. It's a choose-your-own adventure of roguelike buffs. Use it when you can, but you should always expect to be able to do your immediate healing goals without the cards factored in. They are a bonus, not a guarantee, and should be treated that way. Waiting for something better and just getting Draw back on cooldown now. 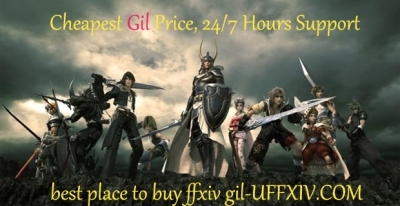 Suggest a gold supplier to you!The famous gaming currency supplier on internet is now presenting cheap FFXIV gil for sale to its customers.UFFXIV.com also offers live support to all the buyers and gamers who are interested in buying the FFXIV Gil or any other currency from any other games.